On the catwalk in Paris during fashion week, five days full of frivolous commitments and not, is the dream and the aspiration of many, especially those who have a love for the atelier in their veins, things that are well-made, the extraordinary, the exquisite, interpreted each time according to your own personal cultural canons because this is a truly global world. Here is where creators with the most diverse experiences and the most diverse backgrounds come together, from Los Angeles to Athens, from Barcelona to Rome, from Beirut to Beijing, all sharing the idea of designing garments that can convey emotions. And it’s all about emotions. 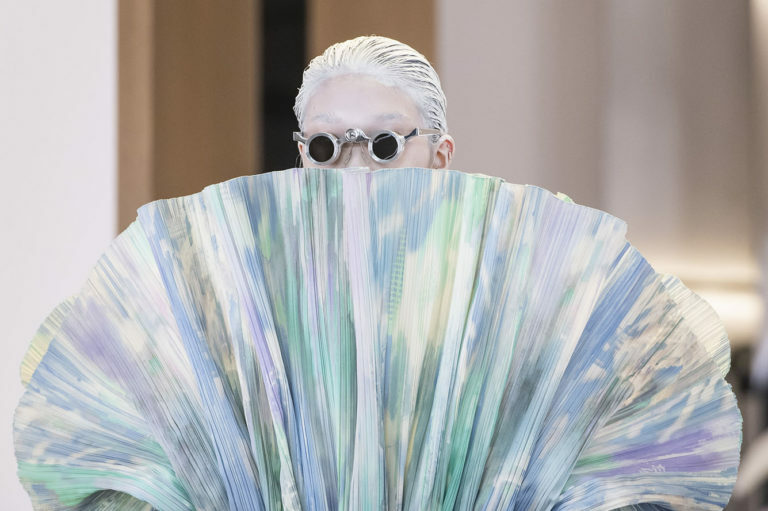 There are those, like Karl Lagerfeld, who look to the beloved eighteenth century and create new ladies-in- waiting, tight-fitting corsets and skirts with a triumph of crinolines. Nostalgia. Or those who, like Giorgio Armani, draw inspiration from Chinese lacquers, and everything shines in intense reds and translucent organzas. A desire for light. Then Londoners Ralph and Russo revive the concepts that are dear to the vintage 1960s. Faithful to tradition. And Giambattista Valli who, with his thousands of layers of tulle, has influenced the fashion system. Style Icon. Finally, Balmain’s return after sixteen years of absence, under the creative aegis of Olivier Rousteing, confirms the idea that haute couture as a land where you can create your own vision. Freedom.